1. Only post 1 or 2 pictures per hunt. We want this to be a community gallery. 2. 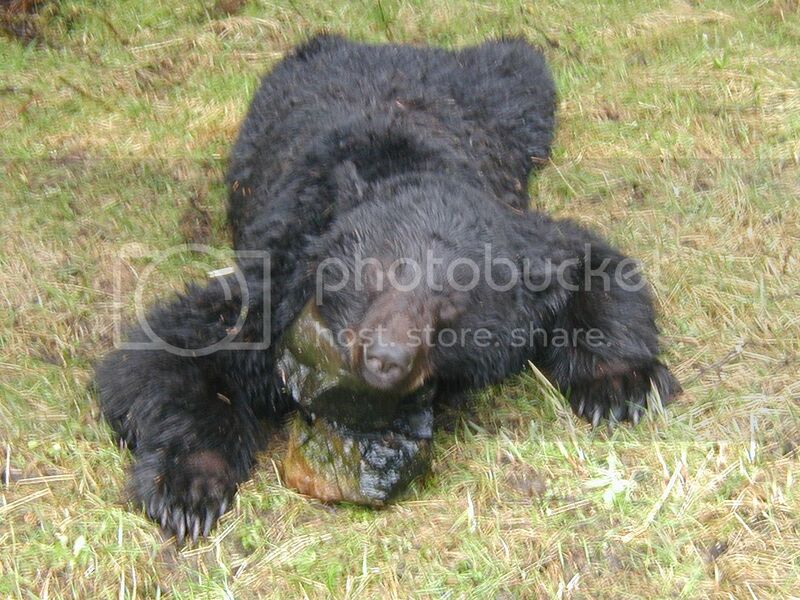 If at all possible, use a photo hosting site like www.photobucket.com. 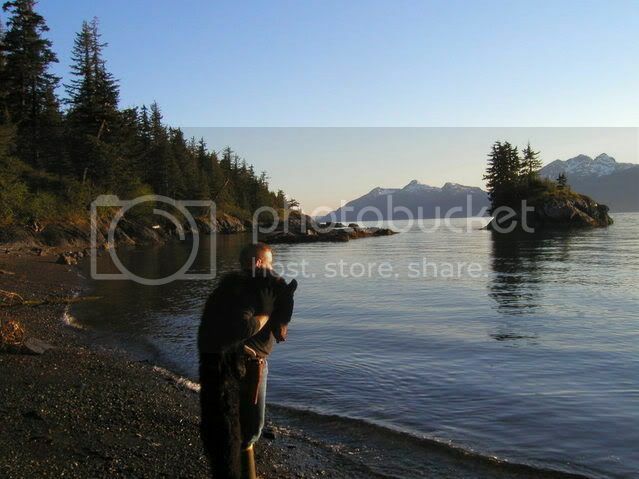 Submitting photos as a simple attachment takes up storage space on this site, making it harder to maintain things like the archives. 3. If you want to share stories or make comments on the pictures, open up a new thread or send a PM. 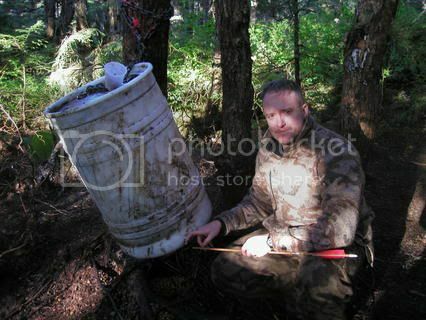 We'll try to keep this gallery as pictures only, with maybe a few sentences describing when and where the hunt took place. 4. Enjoy! I'm really looking forward to seeing this collection build as the season progresses. Dalton caribou: BowTech Pro 40 Dually, Carbon Express Terminiator Hunter Selects, Slick Trick broadheads, caribou created by God. Stone Sheep taken August 6, 2006 in BC. The only thing, other than some skunk cabbage, that I managed to slay wit my recurve. Couldn't make it happen with my recurve so I went back to the trusty 44 Mag. My host was our very own Daveinthebush. Thanks, Dave. 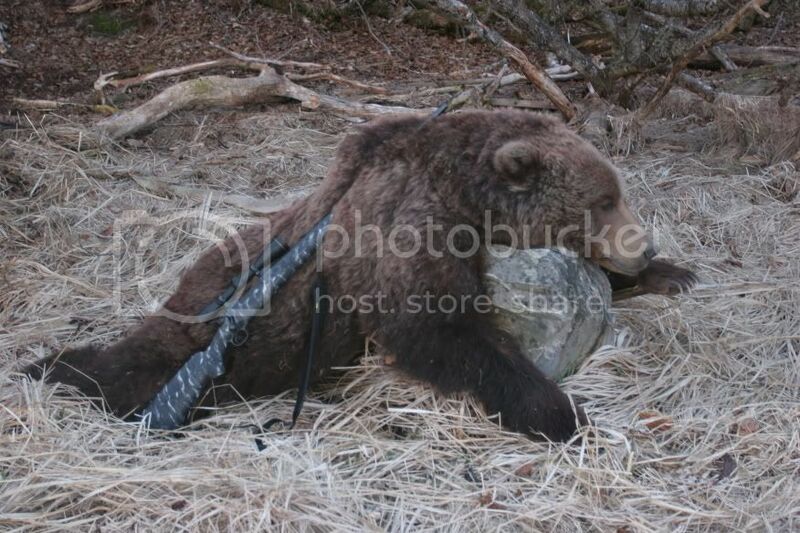 Grizz shot near the Goodnews River, NW of Dillingham. Last edited by Brian M; 08-14-2006 at 14:37. We'll submit a new post/story for our warriors to read and enjoy. Just to see if I have this right, here's my wife's mox of last year. Hey guys, just a reminder that we're going to try to keep this thread/gallery free from comments on the pictures. I understand the desire to congratulate people on their animals, but if we do that this will turn into a huge mess of a thread. Go ahead and send congratulatory PMs or e-mails, or post your comments on their individual threads if they post a hunt report. Lets keep this as just a gallery for the community here. 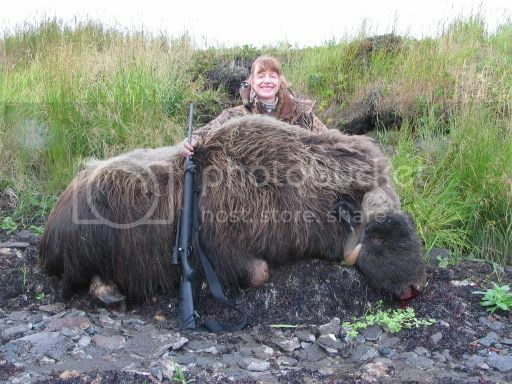 Also, lets try to restrict this to just 2006 and Alaskan hunts. Thanks all, and keep 'em coming! 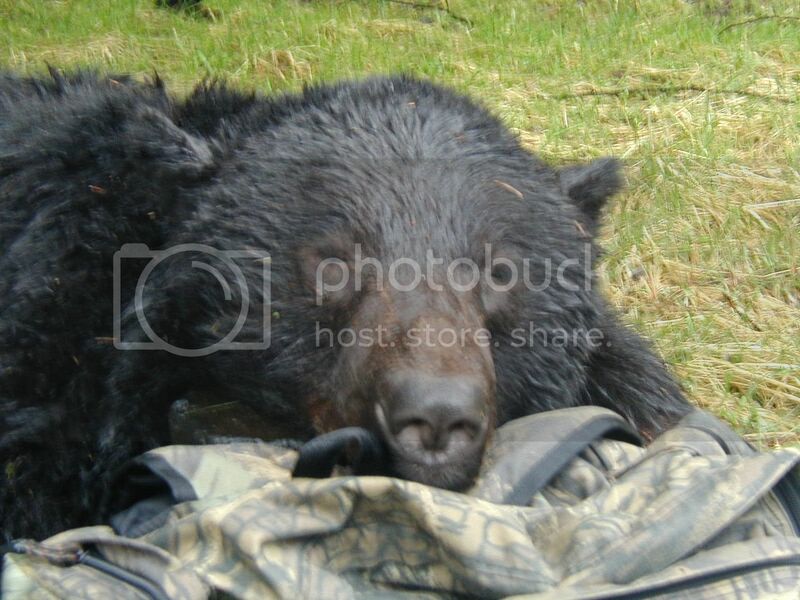 Pic of my dads first bear from this spring taken near Tok. Not the best pic but its the only 1 I have. 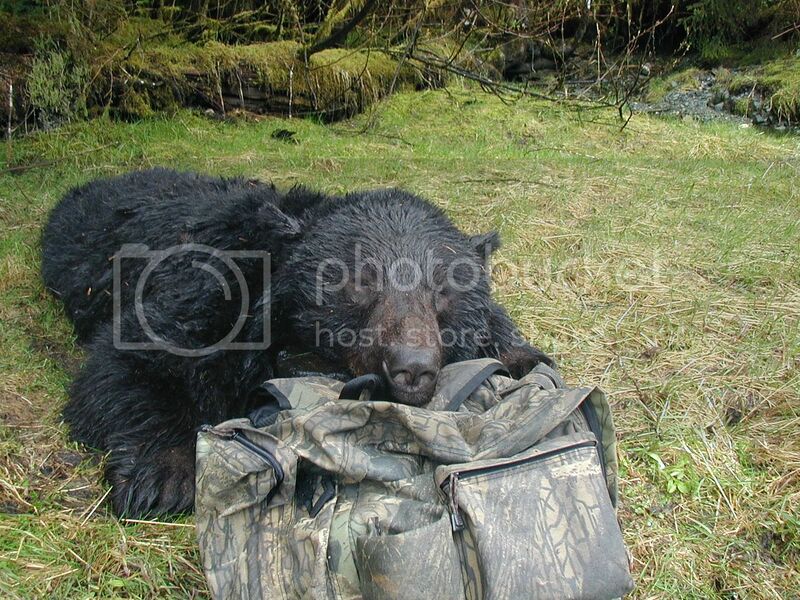 My first Bear hunt. My first Bear ! Three Saints Bay. First caribou we saw in four days. Huntin out of Chicken. 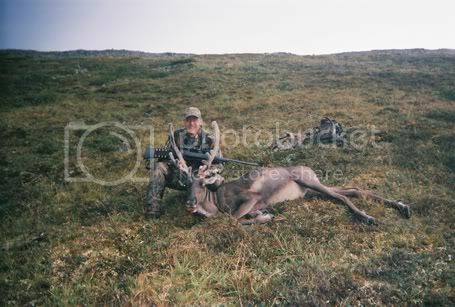 This was my first big game I ever harvested. 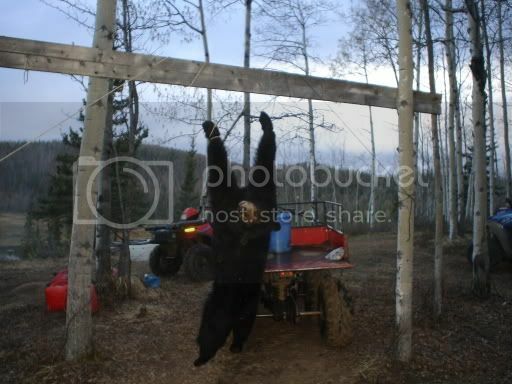 Here is the goat I helped my buddy get on the Kenai Peninsula last week. He hit it and I finished it. The horn length is 10 inches. 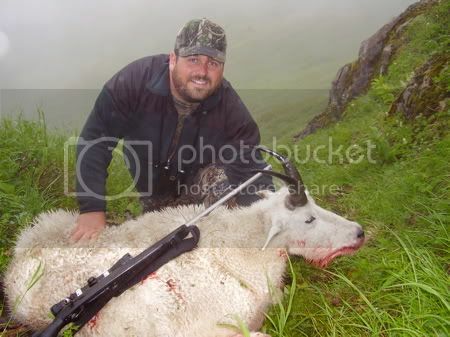 Here's the ram I shot on Aug. 12 in the Tok Management Area.